Having purchased new items for the Library, librarians do not then rest with their feet up on their desks, content with a job well done. The collection of the Poudre River Public Library holds 405,000 items District-wide. And each year, 48,000 to 50,000 items are both added to and withdrawn from the collection. Librarians call this a zero growth collection, made necessary largely by limitations of both budget and space. However, the 405,000 collection must be managed and maintained. With over 133,000 borrowers and with 48,000 to 50,000 new items coming in and out, the collection has to be continually analyzed and evaluated. One approach is to look at circulation figures to see whether the collection devoted to a particular area of interest (e.g., gardening or a certain popular author) needs to be expanded or reduced. Another way is to analyze the collection in terms of such criteria as whether the item is out of date and/or superseded by a new edition, is no longer relevant or is available from another source, like the Prospector inter-library loan system. Weeding, which is essential in keeping the collection up-to-date (as well as making space available for new materials), is an on-going process, keeping librarians in the Collections Department occupied much of the time. A collection cannot remain static and continue to be useful and relevant to the needs of its users. Of the materials that are weeded out, the Friends of the Library gets a first look to choose what they feel are appropriate for their three giant used book sales a year. The rest is then recycled. The library pays a recycling firm $35 per pick up, but this cost is offset by book sales conducted by the recycling company. Finally, there is just simply trash; not everything can be recycled and badly damaged materials end up in the trash recycling. The management of the collection also means that newly purchased items are distributed equitably across the three facilities, with some exceptions in meeting particular demands. But, you might say, why is it that when I want a particular book, I see that all copies of that book are at Council Tree Library, for example. Contrary to what you may think, it is not because librarians decided to favor Council Tree over the other two branches with a popular title. 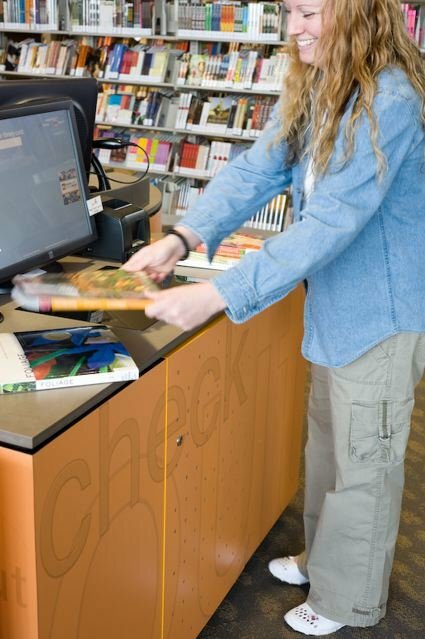 The floating collection model is a decision based on budgetary concerns that also makes it easier for patrons to return books and other library items to a branch or dropbox most convenient for them. Particularly in times of tightening budgets the reason for the “floating collection” is simple: the Library has saved over $30,000 annually by reducing couriers to transfer materials from branch to branch. In cost-benefit terms, it is a reasonable decision. Library books and other materials may look as though they are just sitting on the shelves waiting for someone to come by and borrow them, but actually the collection is very dynamic, constantly being looked at and evaluated by the staff, added to or withdrawn as needs come and go. The staff not only helps patrons face-to-face out front but works behind the scenes to make Poudre River Public Library District what it is – a collection responsive to user needs, current and future. The staff welcomes suggestions and comments from users of the Library – feedback is an important part of how librarians successfully manage and maintain a useful and relevant library collection.